I have never made sweet potato soup until few weeks ago. Sweet potato reminds me of baby food: it was one of the first vegetables I introduced to my kids. They loved their sweet potato soup purées and once grown up, I didn’t think of making it again. Actually, I have never made a potato soup before. I add some potatoes to my soup but it was not the main ingredients. I was a bit skeptical when I tried the recipe but I wanted to give it a try. I love making soups and I am always looking for new soup ideas. Eating the same soup over and over is boring. This post contains affiliate links. Thank you for the support. The following recipe is inspired from the book Soups and Stews. This book is a staple in my kitchen. It is worth the $21 I paid for. I tried many of its recipes and they were so good. Some recipes are easier than others but you go with the ones you are comfortable with. 2 garlic cloves crushed. You can use ready to use garlic paste but the flavor is not as good as fresh garlic. 3 TBSP of curry powder. I replaced it with the Blue Dragon Curry Paste. 2 pounds of sweet potato, peeled and cubed. 125 ml of coconut cream. 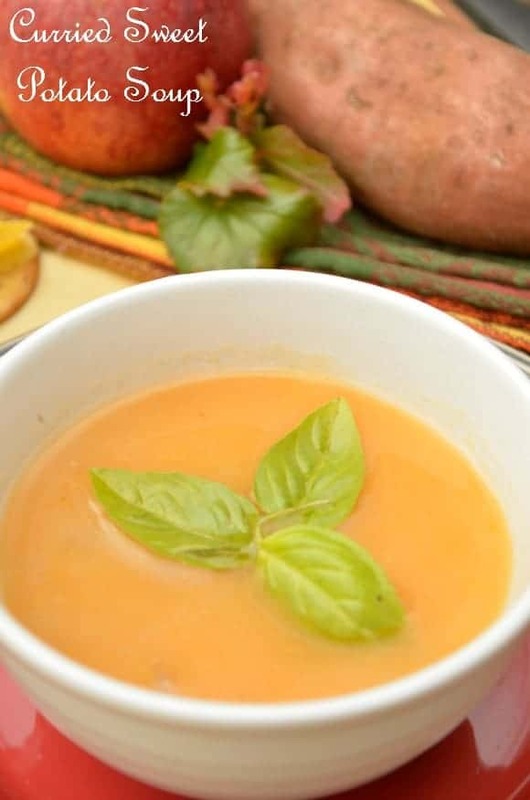 I didn’t add this ingredient as I did not have it on hand but the sweet potato soup turned out good enough for me. In a large pan, add oil and heat. Add onions and let it cook until it becomes very soft. Make sure to supervise so it does not burn. Add the garlic and curry powder and stir. Add the sweet potato, stock, and let it simmer for 30 minutes. Process it in your food processor. Make sure to let it cool before as you don’t want to get burned. Return to the pan and heat. If you are using the coconut cream, add it but don’t let it boil. It can be served with your favorite bread, pita. My daughter loved it so much that I added it to her lunch box. She enjoyed it with some crackers and cheese on the side. 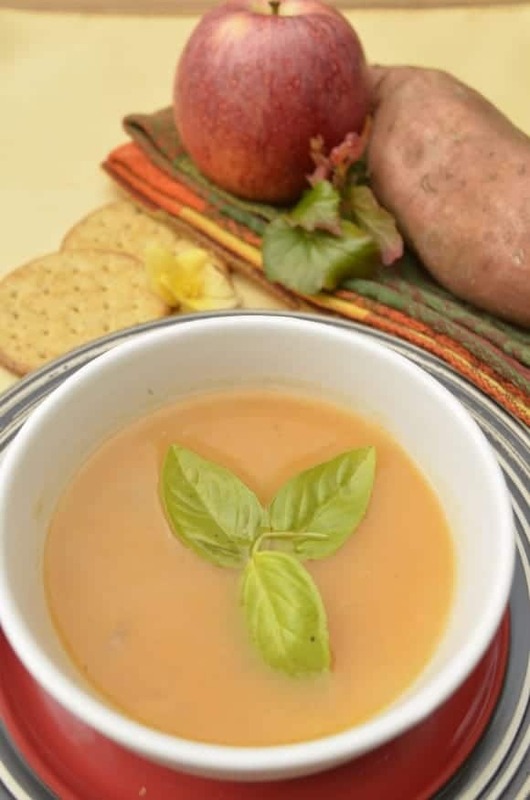 Have you ever made sweet potato soup? What do you think of this easy healthy recipe? This soup sounds yummy. Coconut milk is something I don’t normally have on hand, so I will probly omit that ingredient as well. looks delicious! Am I missing it? Whendo you add the apple? Thanks always looking for healthy soup recipes that don’t use wheat. I love sweet potatos and curry,look forward to trying this recipe! This sounds so delicious and is the perfect fall recipe. I look forward to making this. Sounds like a really easy and delicious recipe. This sounds so freaking fabulous!!! This recipe sounds delicious and so easy to make. My family loves sweet potatoes so I think it will be a hit in our house. Ok, cravings are getting the best of me right now and seeing great recipes like this right at the start of Autumn is NOT helping! I love sweet potatoes!